While the employment rate in Germany rose, the unemployment level in France fell but EUR was acting stronger than USD on Thursday. The support rests at 1.06543 with resistance at 1.06890 which the weekly pivot point at 1.06780 is located in between the lines. 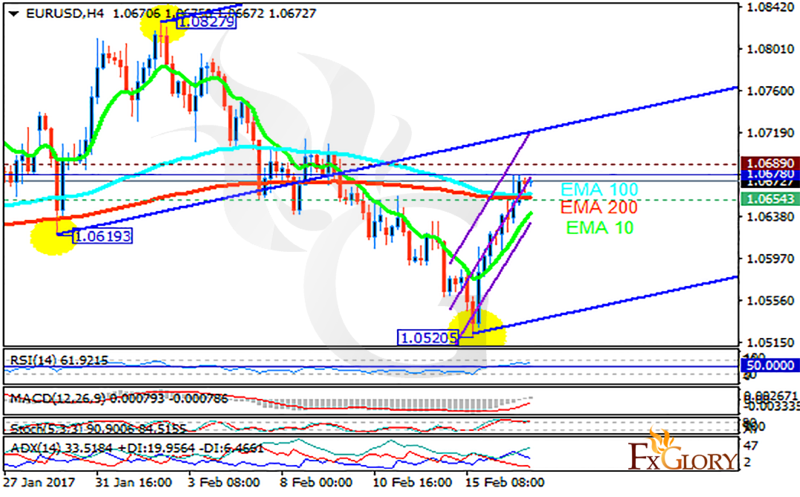 The EMA of 10 is moving with bullish bias along the ascendant channel and it is below the EMA of 100 and 200. The RSI is rising towards the overbought area, the Stochastic is moving in its high ranges and the MACD indicator is in neutral territory. The ADX is showing a strong buy signal. Long positions are recommended along the Andrews’ pitchfork targeting 1.0700.